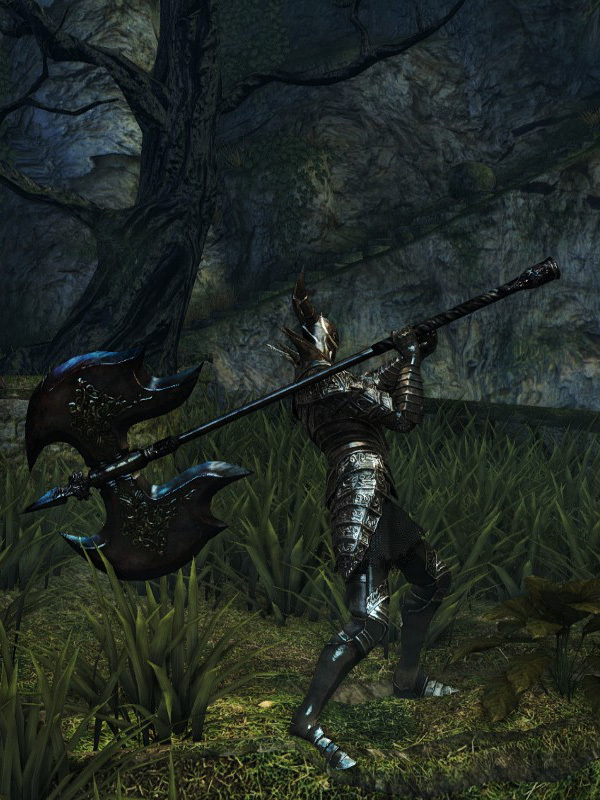 The Black Knight Great Axe often seems weaker in practice than its damage stats would indicate. This is because its Standard Attacks (R1/RB) have reduced damage to account for their swing speed, which is fast compared to similar weapons. The damage of its slower Power Attacks (R2/RT) are in line with its listed statistics. 90% STR, 4% DEX scaling.